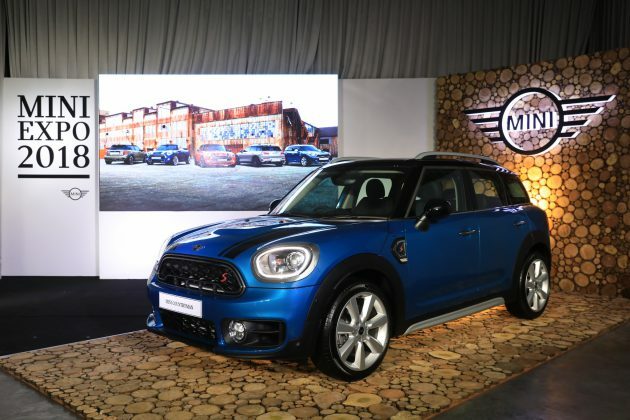 On August 16th, BMW Group Malaysia delivered the first units of the recently unveiled MINI Countryman for its export programme to Thailand. 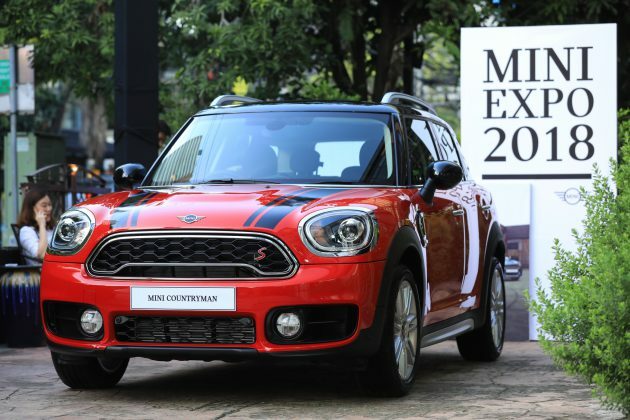 The variants exported to Thailand are the MINI Cooper S Countryman and the MINI Cooper S Countryman Hightrim. The export initiatives of BMW Group Malaysia in South East Asia are a clear example of the success of the ASEAN Trade in Goods Agreement (ATIGA). ATIGA promotes the intra-ASEAN trade and ensures the realisation of free flow of goods within ASEAN and has aided the BMW Group in utilising the premium automaker’s plants in ASEAN efficiently, providing flexibilities to match its production to the market demands, both for domestic and for export effectively. Making a convincing statement through the rugged appearance and clear silhouette, the MINI Cooper S Countryman harmoniously embodies the unique, authentic and classic MINI character. The headlights are encircled by circular LED daytime driving lights, whose evenly illuminated rings are a signature element, ensuring the striking contours of the headlights are visible both day and night. LED fog lights are also installed in both the headlights and taillights to further ensure safety, while Parking Assistant helps the driver find a suitable parking space and makes parallel parking easy. The MINI Cooper S Countryman is powered by a 4-cylinder, 2-liter petrol engine with MINI TwinPower Turbo technology, producing up to 141 kW/192 hp and hitting a maximum torque of 280 Nm at 1,350 – 4,600 rpm. The combined fuel consumption is 15.9 km/liter and the combined CO2 emission is 142 g/km. The automatic 8-speed Steptronic transmission, a sport leather steering wheel with multifunction controls and Servotronic steering combine to equip the driver for every challenge. The vehicle also comes equipped with 18” Pair Spoke alloy wheels in silver. The MINI Cooper S Countryman provides ample space in the five fully-fledged seats as well as the foldable rear backrest, which offers a 40:20:40 split for extended comfort and functionality. This space and practicality are complemented with a Piano Black finish and Leather Cross Punch Carbon Black sport seats that lend the vehicle a sporty edge. To add even more convenience, the automatic tailgate allows easy access to the spacious boot with a foot-activated motion sensor under the rear bumper. The 6.5-inch touchscreen in the central instrument of the MINI Cooper S Countryman displays navigation information, key vehicle data, and entertainment features. It is also the portal to MINI Connected, a personal assistant that supports you on the road with navigation and information supplied via connection with a smartphone, to keep you connected and informed at every stage of the journey. The MINI Cooper S Countryman Hightrim enhances the sporty yet classical look of the standard MINI Countryman with Chrome Line highlights across the exterior and interior to add a luxurious feel. A rear-view camera combined with Parking Assistant system makes every parking spot an easy task, while the rear-view mirror with automatic anti-dazzle function provides an extra level of safety. Powered by the same 4-cylinder, 2-liter petrol engine as the MINI Cooper S Countryman, the Hightrim variant generates up to 141 kW/192 hp and reaches a maximum torque of 280 Nm at 1,350 – 4,600 rpm. Stylish driving fun is guaranteed with the inclusion of an automatic 8-speed Steptronic transmission with gearshift paddles, a three-spoke MINI Yours sport leather steering wheel with multifunction controls, and 19” Edged Spoke alloy wheels in silver. The interior is decked out in MINI Yours Piano Black Illuminated style with colourful glows that bring the car to life at night with an energetic, refined ambience, while the top-notch Harman Kardon HiFi sound system promises to lift your spirits on every drive. Inspired by the cockpit of a jet plane, the MINI Head-Up display projects key driving information such as the vehicle’s speed into the driver’s line of sight without obstructing the view of the road. The 8.8-inch touchscreen in the central instrument of the MINI Cooper S Hightrim also comes equipped with MINI Connected, a personal assistant that supports you on the road with navigation and information supplied via connection with a smartphone for a greater convenience for every journey.